Being Fifi, my friend guilt-ed her finance into treating the ladies to a gourmet brunch at the Left Bank Restaurant at the Stonehedge Inn & Spa in Tyngsboro, MA. We got there around 9:30 AM and there was only one other couple finishing up their meal. We were seated in the enclosed patio area where there was ample windows and sunlight and we were able to enjoy the late fall foliage. The three of us couldn't decide on anything so we each got a breakfast entree to share "Family-Style", my favorite way of eating! Most of the breakfast entrees came with a side of toast and butter and served with home fries. Coffee, juice and tea was additional as it would be in most restaurants. We went with the "Create your own" omelette and did crab meat chunks and Gruyere cheese. This was my favorite meal of the three but there was a bit too much ground black pepper in the omelette to my liking. 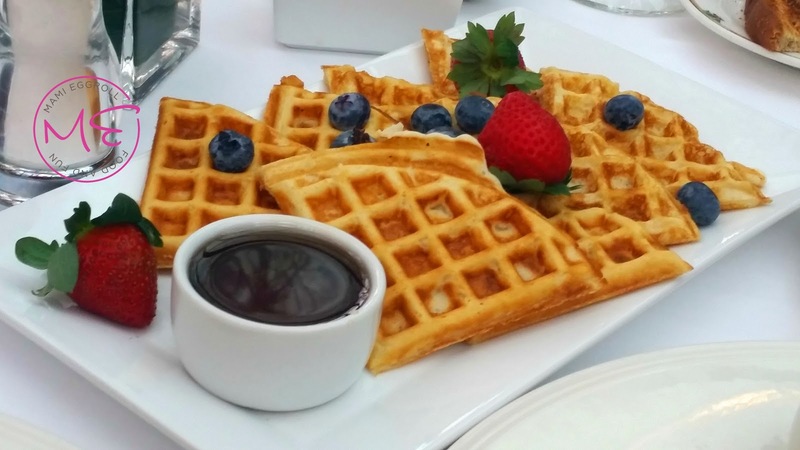 The Belgium waffles was served with maple syrup and topped with berries. 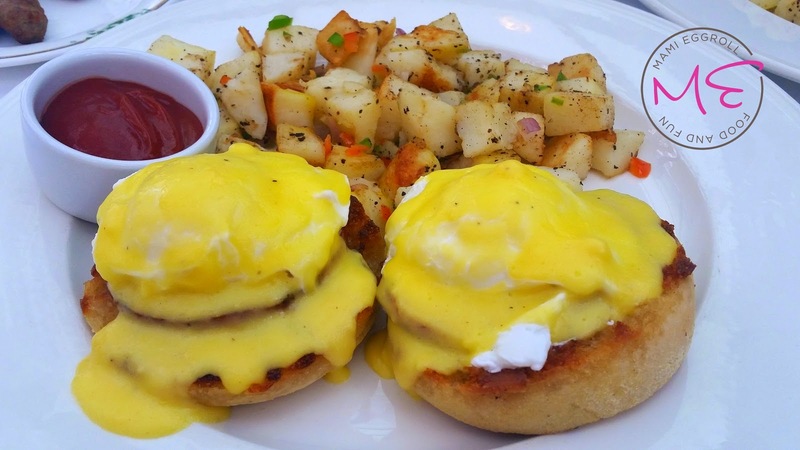 The last dish was the Eggs Benedict. Typically, I love Hollandaise sauce but this was a bit too tangy for me. Just as expected, the bill was a bit on the higher side but it wasn't over the top. The meal wasn't great and i'm probably not going to drag the Mo back for breakfast. I'm always grateful for a free meal though! 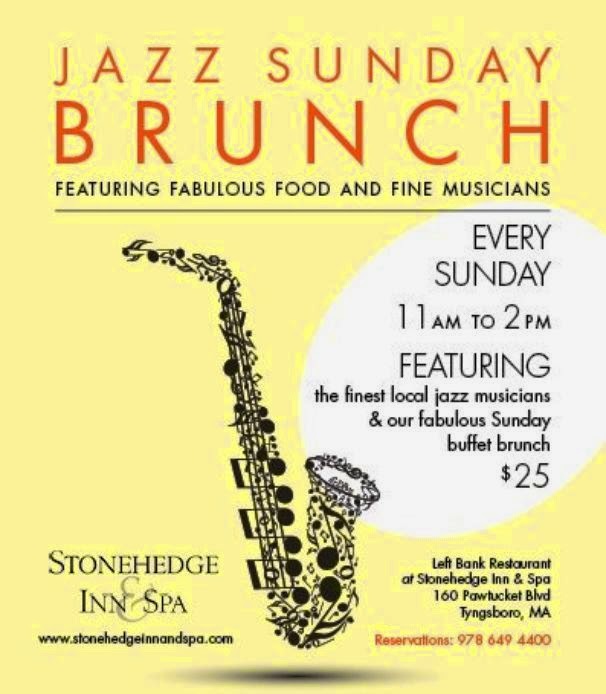 The restaurant serves a Jazz Sunday Brunch every week. For only $25.00, diners can take part in their "extensive buffet", juice stations, made to order eggs, as well as other pastries and dessert offerings. 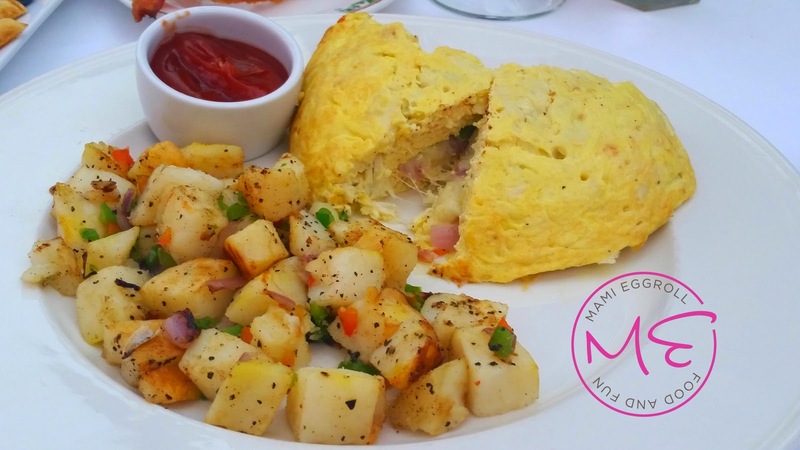 Mimosas and Bloody Mary's will set you back $6.00 each or you can just take advantage of the bottomless coffee and tea included in the set price.